Dr Lindsay Moran graduated from the University of Leeds Medical School in 2005 before training as a GP and Cosmetic Physician. 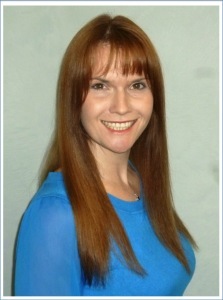 She gained her cosmetic training in London in 2008 and has practiced both in the UK and in Australia, working for a number of cosmetic companies before running her own private practice. She moved to Melbourne in 2013 and now works as a GP at the Showgrounds, a Cosmetic Physician and she the Academic Medical Student Mentor for the University of Melbourne. With 10 years of experience behind her, she is an experienced injector specialising in anti-wrinkle injections and dermal fillers. Medically her main interests include managing facial skin conditions such as acne, rosacea, seborrhoeic keratosis, pigmentation disorders and eczema. She also is interested in women and children’s health, chronic disease management and sports medicine. In addition to her medical roles Lindsay has worked as a Medical Educator at the University of Leeds Medical School, Monash University in Melbourne and the University of Melbourne. She has worked extensively in various committee’s for the Royal College of GP’s in the UK, the Royal Australian College of General Practice and the WONCA (the World Organisation of GPs), presenting and hosting at various GP conferences across the world. In 2017 she went on maternity leave after having her first baby, and is now back at work juggling her various roles.